In 2018, the Sisters of Our Lady of Mercy, who are the sole custodian of the relics of St. Faustina, sent 146 particles of these relics (130 ex ossibus relics – from bone – and 16 from her habit) to 38 countries around the world. In Europe, the Apostle of Divine Mercy in the sign of her relics traveled to 20 countries, 4 in the Americas (USA, Brazil, Bolivia, Argentina); 5 African ones: Burkina Faso, Chad, Cameroon and Central African Republic; on top of 12churches in 9 Asian countries: Philippines (5), China (4), India (2), Israel, Lebanon, Indonesia and Australia. 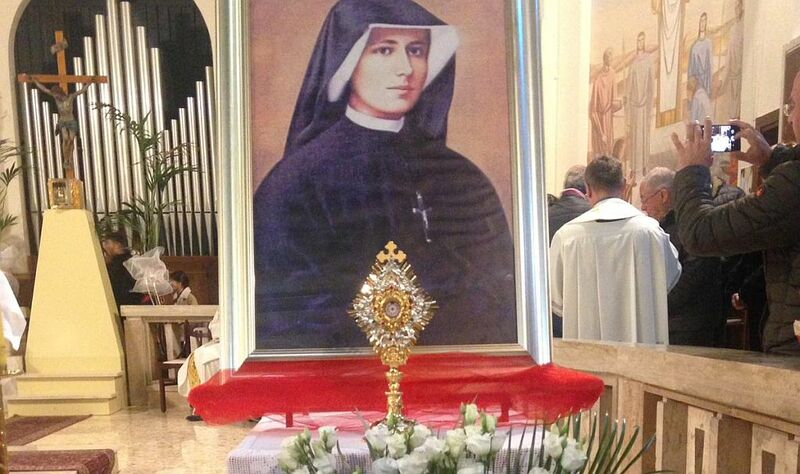 Sister Faustina in the sign of her relic is now present in 126 countries on all continents, in 5,399 churches, shrines or chapels, where Divine Mercy is revered in a special way.